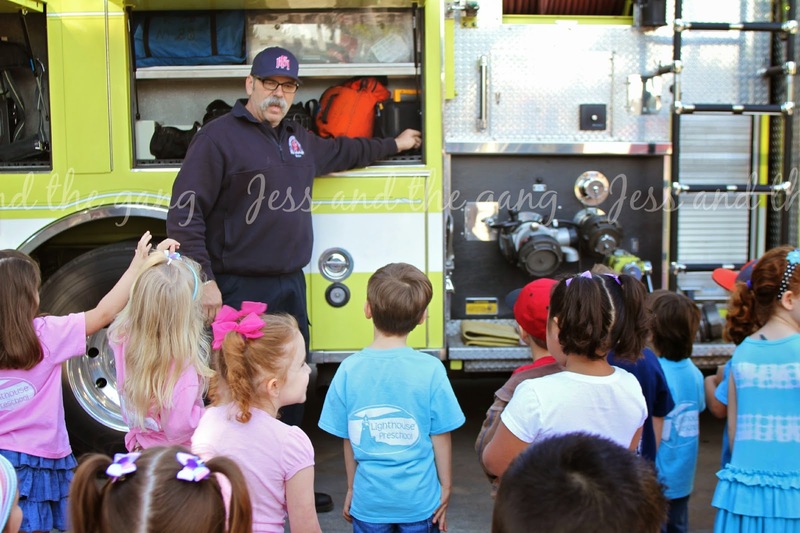 Connor's class had a field trip to a fire station on Friday. They broke us up into two groups. Our fireman was the captain and he was totally sarcastic, which is right up my alley, so I completely enjoyed the tour. They took us through the fire house and I about laughed out loud at what a man cave it was. The living room consisted of three leather recliners staring right at a huge tv. The bedrooms were totally plain and smelled of a college dorm room. It was all rather funny and obvious that a woman was not involved in that situation at all. 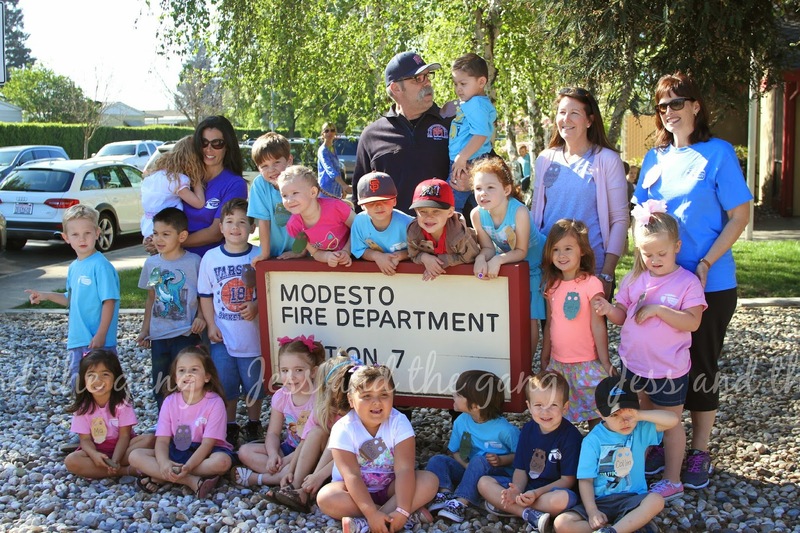 They took us all around the fire engine and explained to us what all the different things were…including the big ax that he refered to as the "keys to the city". It was all very interesting and probably the parents got more out of the detailed information than the kids did. In fact, during q&a time, they opened it up to the parents and many of the parents asked questions. ^^ Connor (in the blue shirt in the middle) hanging on to every word the captain was saying. ^^ Connor shaking the fireman's hand and Isla asking the captain a question. ^^ Connor's whole class. He is on the sign, on the left. We've been to a fire station before, but this was by far the most detailed trip and I really enjoyed learning a few new things from it. 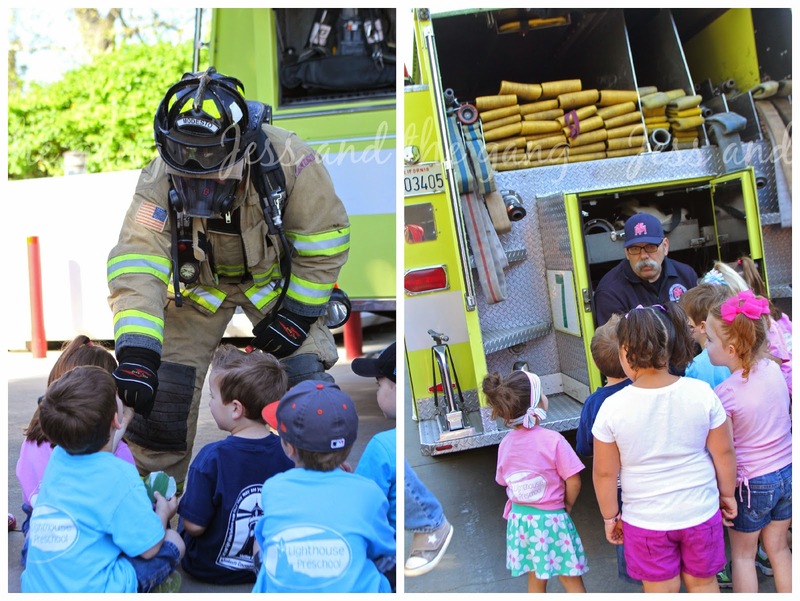 I was also happy to see that neither of my kids were scared of the fireman all dressed up. 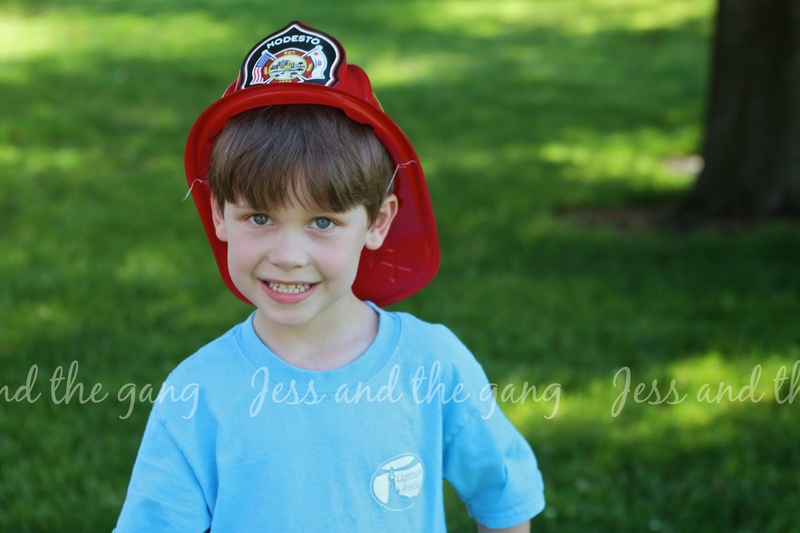 It has been a while since we've seen a fireman like that, but the last time, Connor wouldn't go near him.